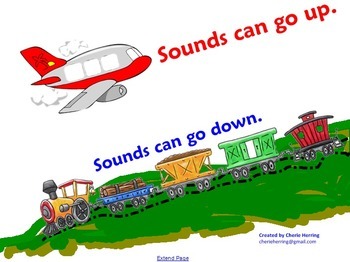 This SMART Notebook lesson is perfect for PreK, K and 1st grade listening activity. 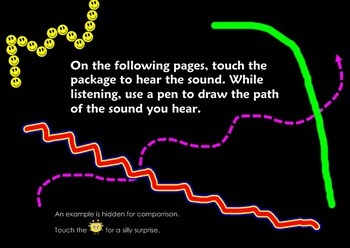 On each page, there is a lost package with a linked sound. 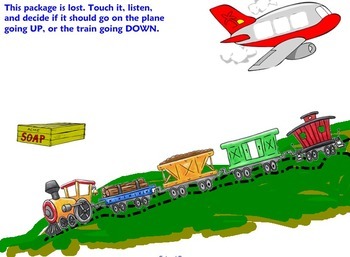 Students touch the package, listen, and then move the package to either the Airplane (going up) or Train (going down). There is also a section for listening and drawing the shape heard. The pages are linked and correct answers are rewarded with an optional funny comment.